GS is a poet and translator of Szabo, Krasznahorkai and Marai. 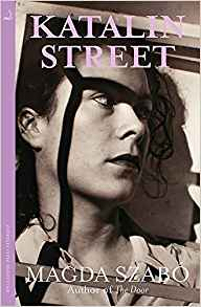 Here he explores his own past and identity by writing about his mother, Magda, weaving backwards from her death, through her life in English exile, to the events of 1956 and her youth in Hungary. Szirtes’s voice is meditative yet direct. Follows the fortunes of three families in pre-war Budapest, through the German occupation, and then the postwar regime. A powerful novel from the author of The Door, one of our hardy perennials.